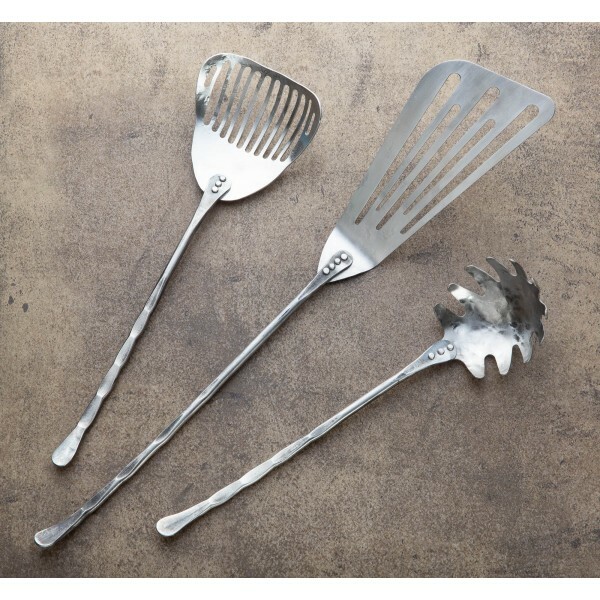 A hand forged, three-piece kitchen utensil set made in Colorado by Jill Rikkers of Beautifully Served by Jill. 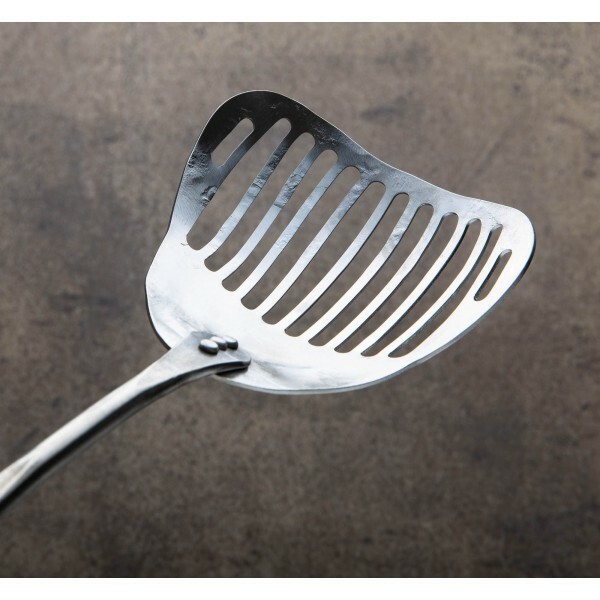 The slotted fish spatula will find endless uses including for your preferred seafood dishes. 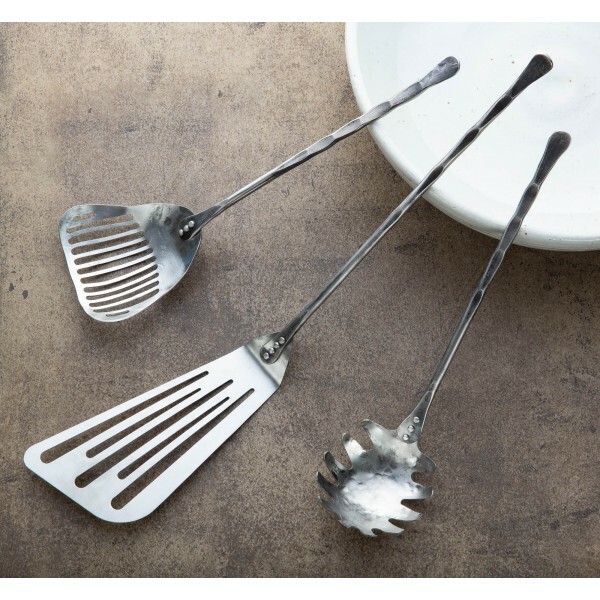 A slotted spoon is your go-to tool for straining, cooking, stirring, and serving, while the pasta server lends a touch of handmade elegance to your next spaghetti dinner. In hammered, solid stainless steel with steel pins, each utensil is crafted one and cleans easily with soap and warm water. 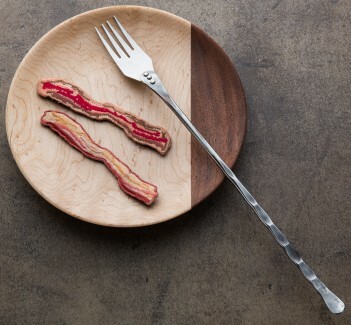 The Colorado-based studio of Beautifully Served by Jill creates gorgeous, functional and innovative cookware, serveware, barware and tabletop utensils for home and professional kitchens. 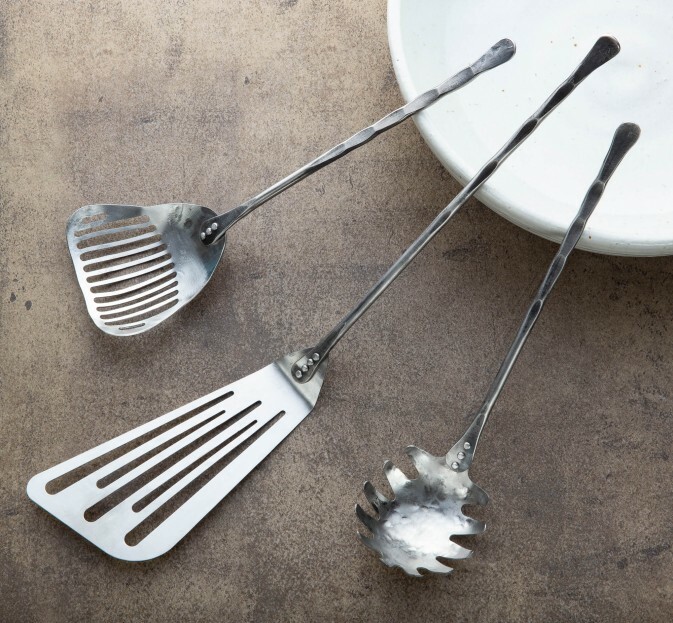 Since 1995 Jill has dreamed up new and wonderful culinary tools, handcrafted one by one from stainless steel, brass and copper. 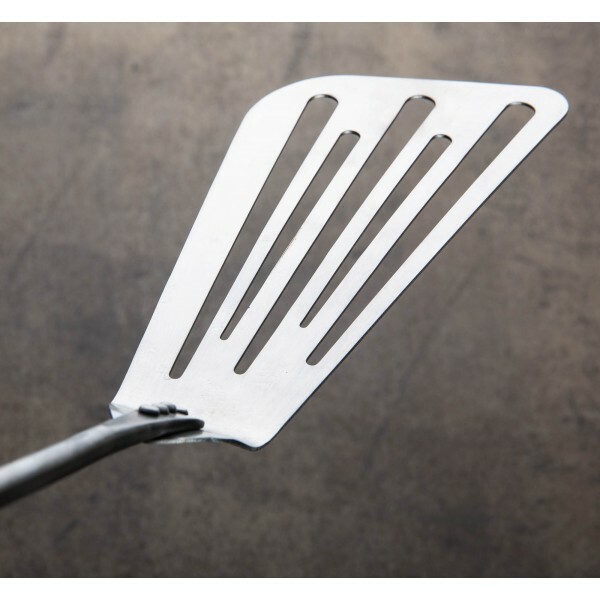 Fish spatula: 410mm / 16.15". 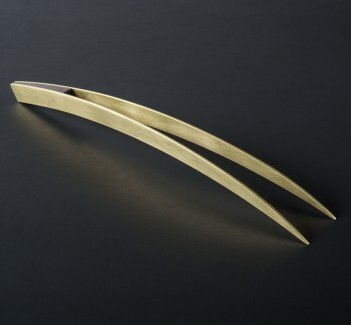  Slotted spoon: 290mm / 11.41". 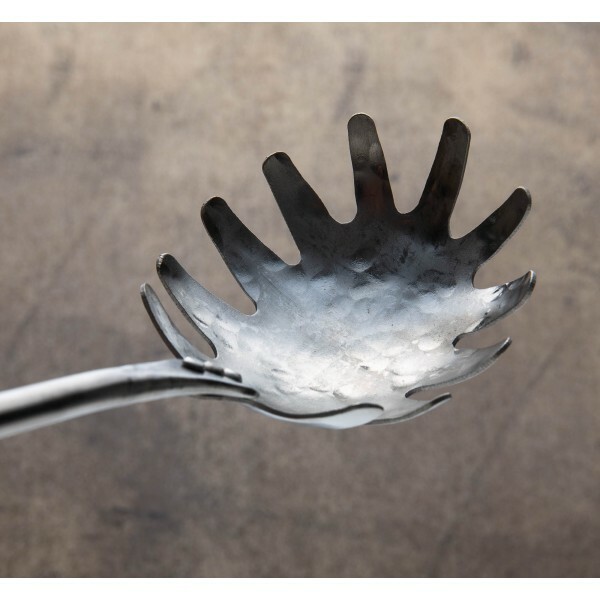 Pasta server: 290mm / 11.41".